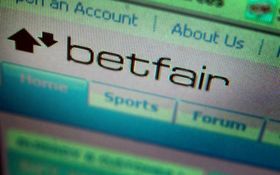 Since its inception BetFair Poker has always run on an independent network, but all that is about to change on July 27th when the online site best known for its sports-betting operation makes the move to the OnGame Poker Network. The move will likely quintuple the amount of traffic BetFair poker players are used to seeing –BetFair currently ranks as the 18th most heavily trafficked poker site according to pokerscout.com, while the OnGame Network of online poker rooms ranks 6th. OnGame, which recently lost the #5 spot to the Cereus Poker Network, will likely reclaim the position after BetFair’s player base is added to their own. BetFair players will also see the addition of Omaha 8 or better, Seven Card Stud hi/lo, and Five Card Draw poker games. You might have to even freshen up on your 3 Card Poker Strategy. To help kick off the move, BetFair has announced a number of promotions for its customers including $500,000 in cash and prizes. The site will be hosting a Points Race, a Sit & Go Challenge, Freeroll Poker Tournaments, as well as giving way seats to their new lineup of guaranteed poker tournaments –OnGame awards over $13 million in guaranteed prize-money each month through its Guaranteed poker tourneys. This entry was posted on Monday, July 19th, 2010 at 3:26 pm and is filed under Poker News. You can follow any responses to this entry through the RSS 2.0 feed. You can leave a response, or trackback from your own site.